Condition: NM, poster is single-sided, and rolled as issued. Poster is printed on a lighter matte paper and the colors are still very vibrant and vivid. 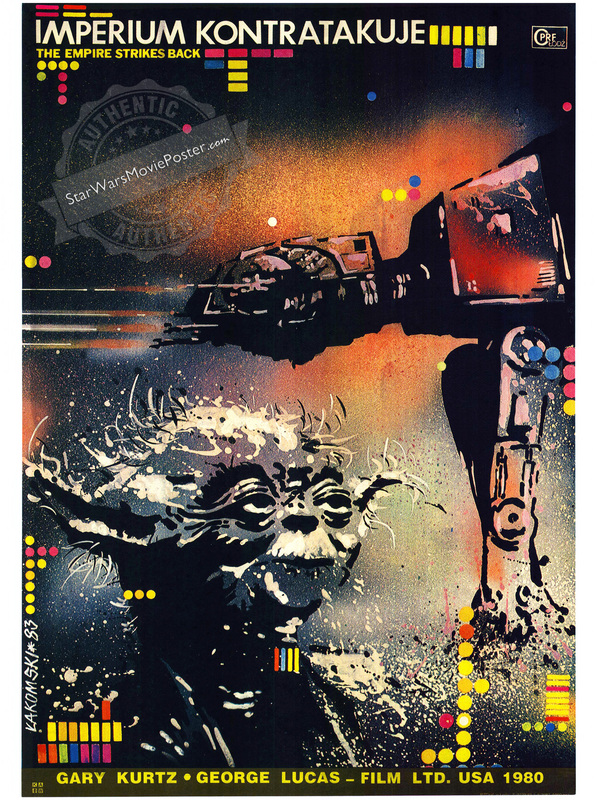 This poster was virtually unknown until an eastern European dealer found a handful of them 15 years ago. All of the copies were unused and in awesome condition. 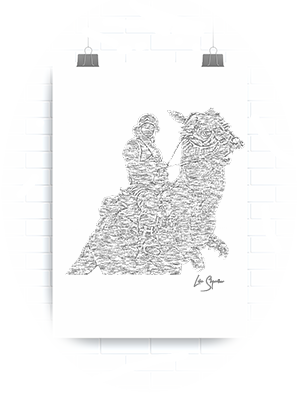 Don't miss out on this poster, because there have only been a very limited number of them show up for sale. Also be wary, because in 2015 they reprinted this Polish half-sheet and most copies floating around today are reprints. Please click on the extra large supersize thumbnail image to the right, to see all the small defects. 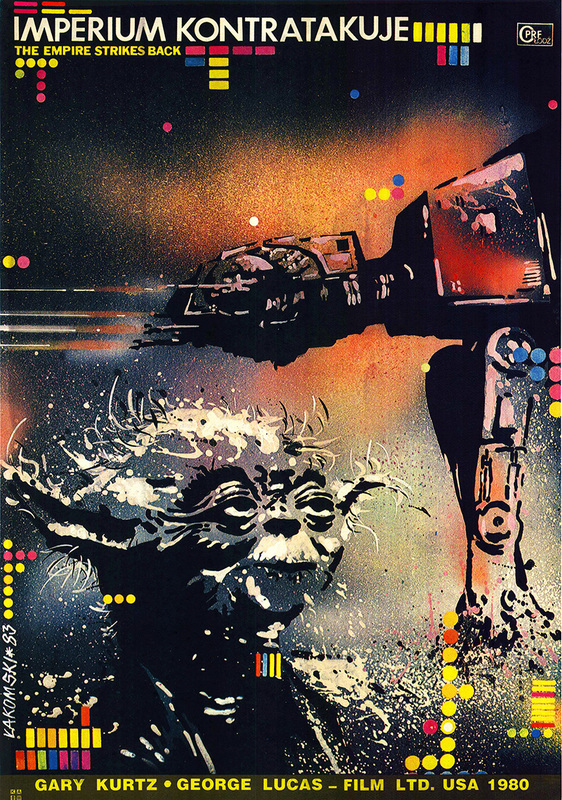 Poster was used in conjunction with the other Polish Empire Strikes Back one-sheet. It was sent out to Polish theaters by the regional distributor Lodz. 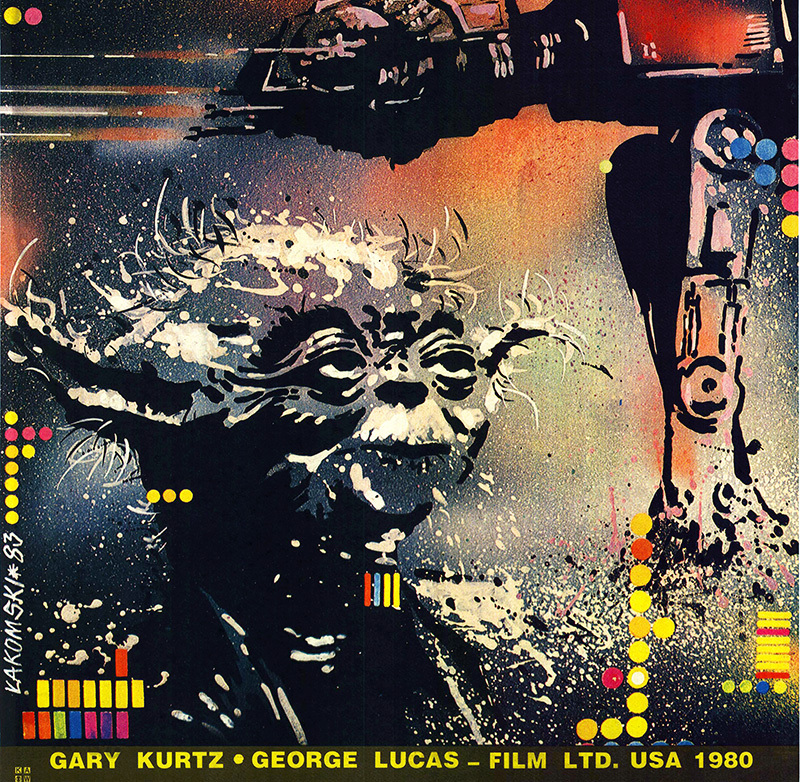 It contains the drawn image of a AT-AT firing over the head of the elder Yoda. 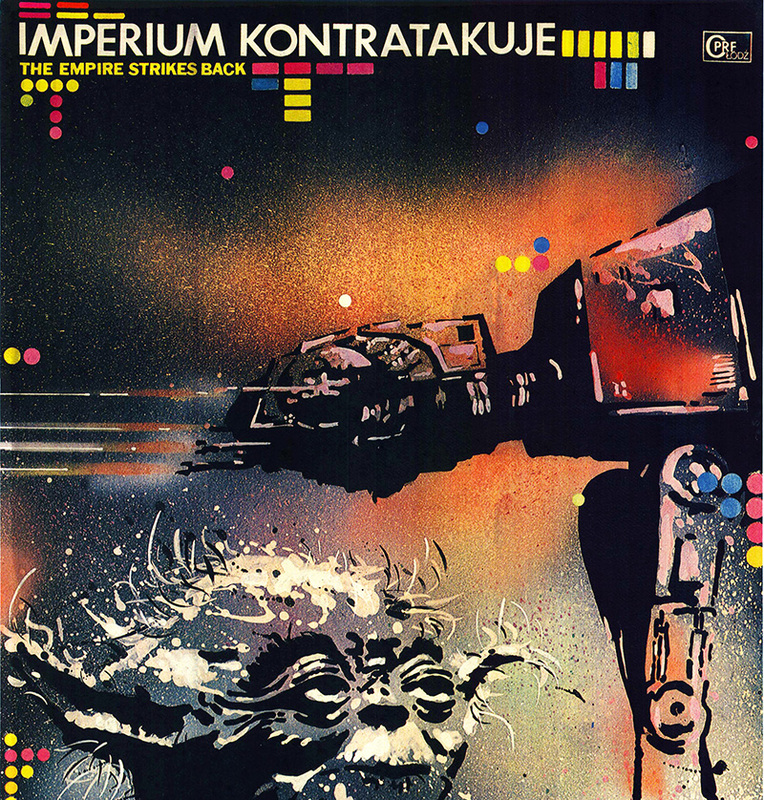 Poster also has an array of multi-colored blocks and circles scattered around the edges of the poster and amongst the film's title (Imperium Kontratakuje). On the left hand side is Lakomski's signature with the date ('83).